We are proud to announce the establishment of our Technology, Multimedia and Telecommunications (“TMT”) Law department to enhance and streamline our provision of a diverse range of legal services tailored to companies and individuals alike in the TMT industries. These include mergers and acquisitions, commercial contracts, hardware, software and services procurement, privacy and data protection, regulatory issues and dispute resolution. The department is headed by Ivan Ho Yue Chan, who has acted for technology companies in relation to licensing agreements, supply contracts and system integration agreements as well as other companies in relation to technological matters. 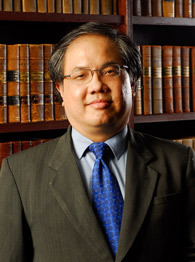 Ivan has also acted for the Association of Merchant Banks Malaysia in advising on the “Guidelines On Electronic Prospectuses and Internet Securities Application” and providing input to the Securities Commission in relation thereto. 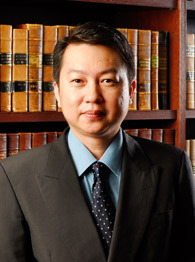 Deputy head of the department, Tan Gian Chung, is often called upon to advise and act for the regulator on a broad range of matters pertaining to multimedia and communications laws, including litigation. Gian Chung has also spoken at conferences locally and abroad on trending TMT-related topics such as cloud computing and the impact of personal data legislation on human resources. He also advises businesses on data protection matters to ensure compliance with the Personal Data Protection Act 2010 and has advised both local and foreign banks on cyber security issues related to cross-border fraudulent transfer of funds.